You are here: Home / Analysis / Next Resistance near 5020-5040? Nifty hourly trading for 12th Aug 2010 Hourly sell signal in nifty continues with cloud resistance 5462. 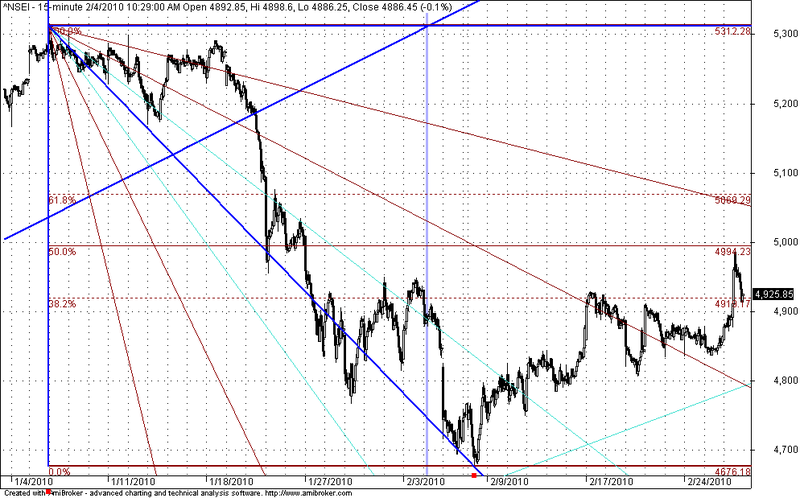 GANN Supports/Targets are at 5370-5375 zone and 5180-5200 zone. How to check whether the gann fan drawn by us is correct or not…is it necessary that the 45 degree should be the diagonal of the gann squarE. can you post the long term gann charts…..